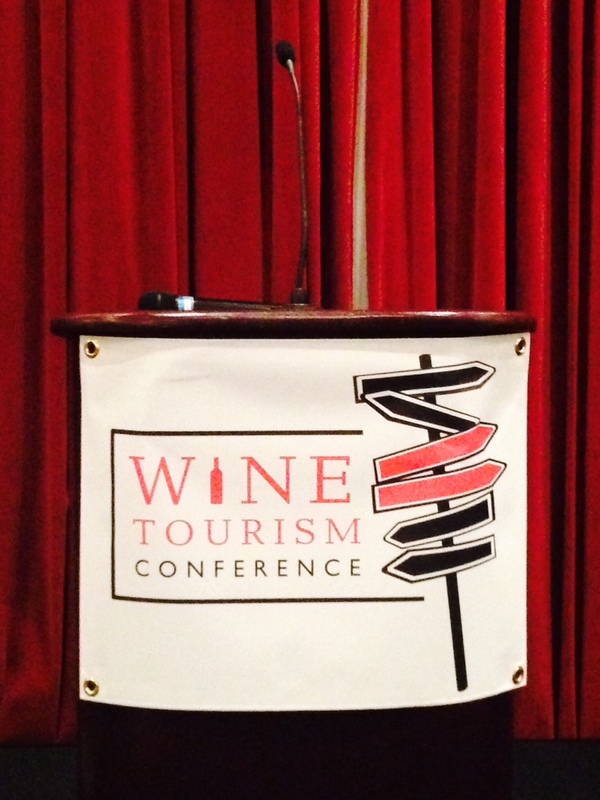 The 2014 Wine Tourism Conference opened up with a bang yesterday in beautiful Paso Robles. While much of the rest of the country endured cold temperatures (and snow in many parts! ), the WTC14 Conference Opening was met with mild weather (no jackets required! ), great wine industry company, and an engaging, warm welcome from the local experts in tourism – Visit San Luis Obispo County and Travel Paso Robles Alliance. We really felt welcomed by everyone here in San Luis Obispo County and the sophisticated, laid back wine hamlet of Paso Robles! The Business of Wine Tourism session followed with perspectives from Paul Mabray of Vintank, a social intelligence firm, Don House of IDMG, an international culinary marketing, content, and event planning firm, Christine Bohle of Eventbrite, an online ticketing service and Michael Kaiser of Wine America, the National Association of American Wineries. 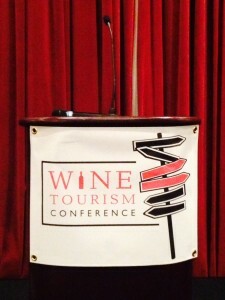 All experts generously shared their knowledge of how to foster exemplary marketing and business connections in the worlds of wine and tourism – there were many takeaways from this session that tour operators, wine associations, regional marketing alliances, wineries, and wine businesses can utilize to benefit their tourism numbers and visibility. The Thursday afternoon Breakout Sessions offered up the opportunity to learn about tourism from a number of different perspectives. Sessions included: Beer Tourism: Lessons for the Wine Industry; Working with Local Wine Tour Operators; Facebook for the Wine Industry; The Reality of Tasting Room Merchandising. The Paso Robles Winery Alliance Reception in the Grand Ballroom offered guests the opportunity to taste the diversity of the wine region surrounding Paso Robles. Almost 30 wineries were represented at the tasting. The authenticity of the wines and the people behind the wines is extraordinarily impressive – there’s a reason why #PasoWine country was voted as the 2013 Wine Region of the Year by Wine Enthusiast! The optional wine-pairing dinner at Second Press Wine Bar & Eatery in downtown Paso Robles was a culinary success. The lamb chops and full bodied Paso Robles wines were awesome and the wine tourism camaraderie even better. We look forward to all the content, Keynote by Alan Kropf, and announcement of the location for the 2015 WTC at the conference today!